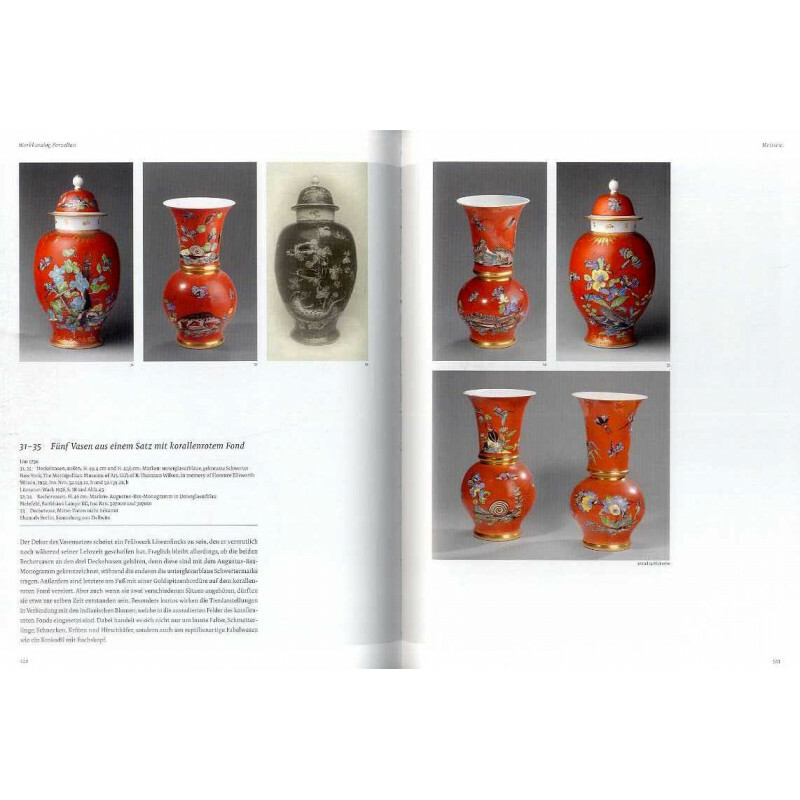 On the occasion of the 300th birthday of the ceramic painter Adam Friedrich von Löwenfinck, the current publication presents for the first time the artist?s complete oeuvre, based on the most recent research. 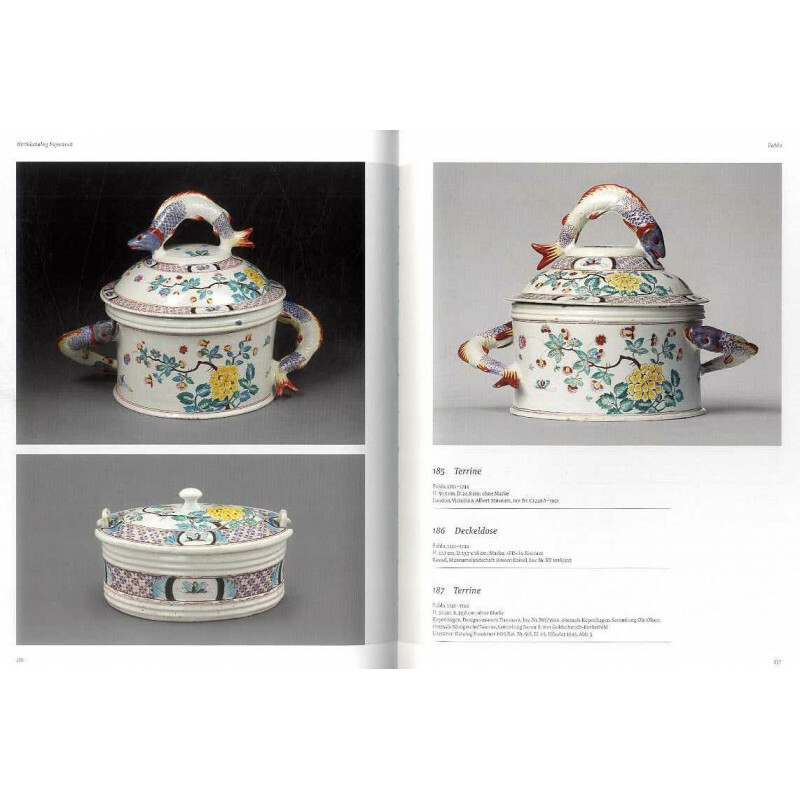 Porcelain and faience from the Porcelain Collection, Dresden, and other prominent international museums as well as private collections illustrate Löwenfinck?s creative accomplishments. Adam Friedrich von Löwenfinck (1714?1754) was one of the most significant painters of ceramic in the eighteenth century. 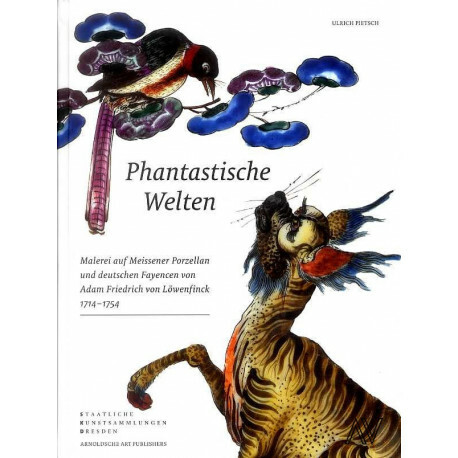 He began his career in 1728 at the porcelain manufactory Meissen, which he left a few years later in order to escape the restrictions imposed on his artistic development and the difficult working conditions in the painting rooms. His adventurous path through life led him to various faience manufacturers, including Bayreuth, Ansbach, Fulda, Höchst and Straßburg-Haguenau. Due to his exceptional creative ability, but also through deftness and unscrupulousness, Löwenfinck ultimately rose from a simple journeyman to the position of manufactory director. Löwenfinck is renowned for his fantastic world of colourfully iridescent and fairy-tale mythical creatures. He deeply influenced and shaped ceramic painting of the time and defined the style of many manufacturers of eighteenth-century Europe.  Because artist signatures are missing, his work is controversial and was until now sceptically debated. 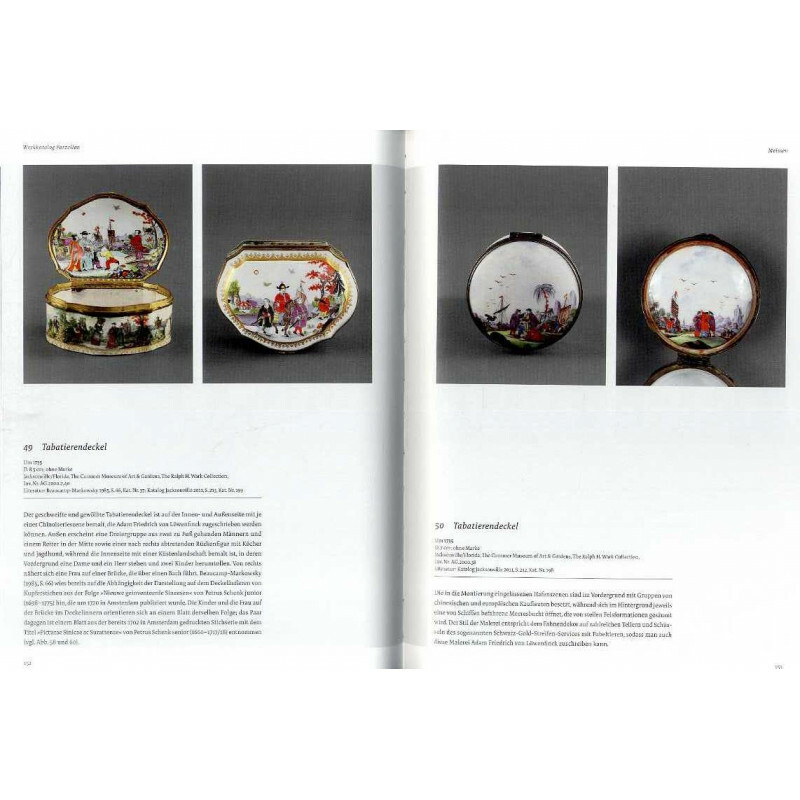 The current publication is the result of a research project by the Porcelain Collection, Dresden, carried out over many years and with which the very first, essential study of the biography and oeuvre of Adam Friedrich von Löwenfinck is now presented.